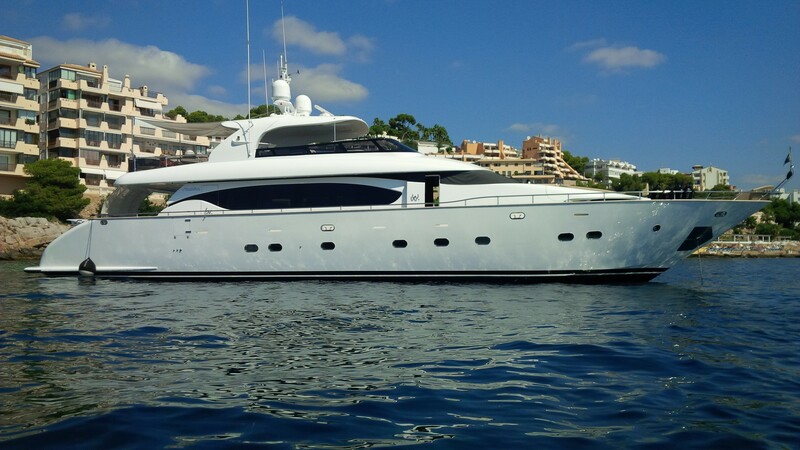 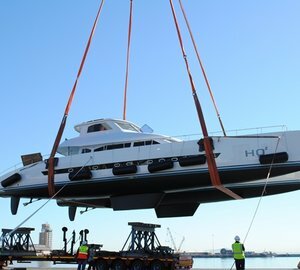 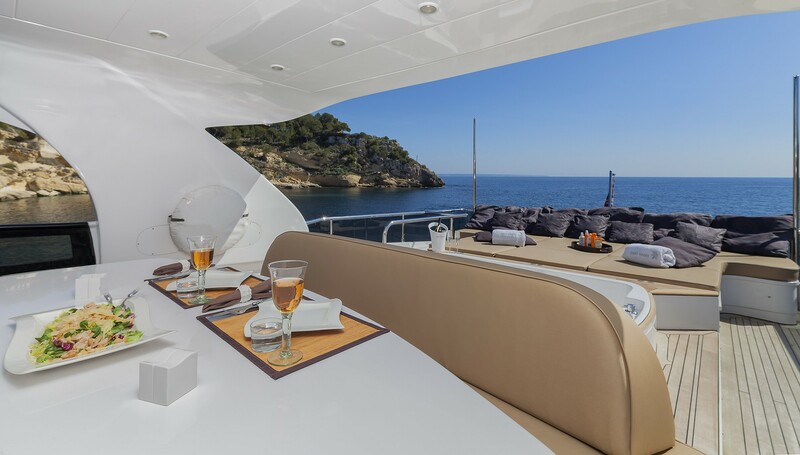 Launched in 2009 by the Italian shipyard Maiora, the 27,30m (89,7ft) motor yacht QUO VADIS accommodates 8 charter guests, in 4 ensuite cabins. 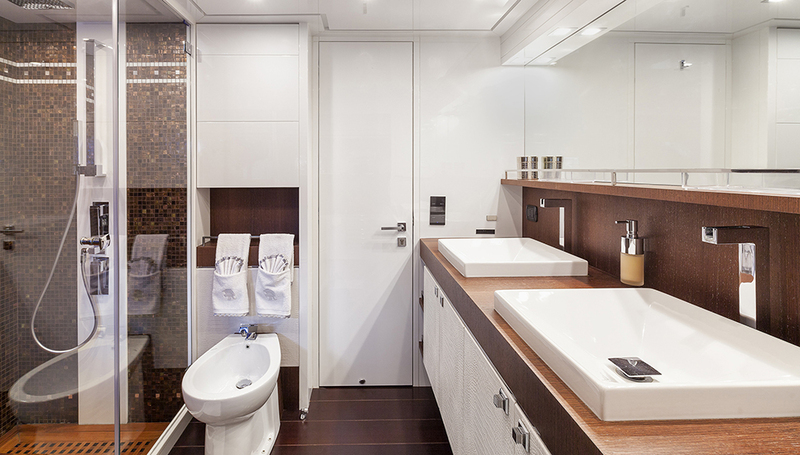 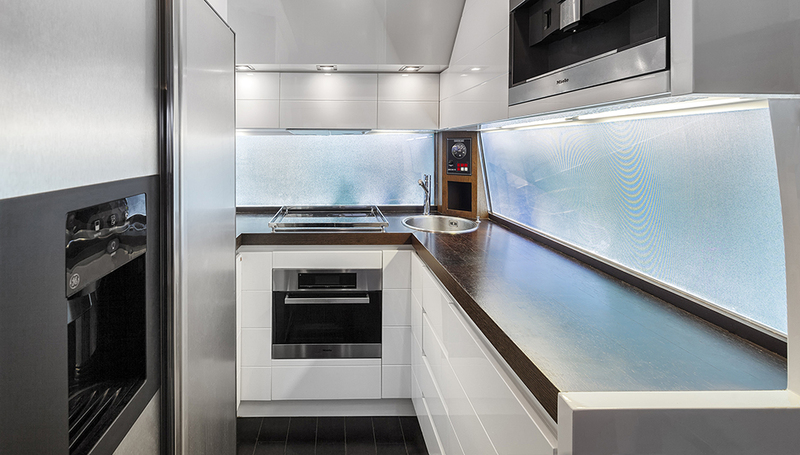 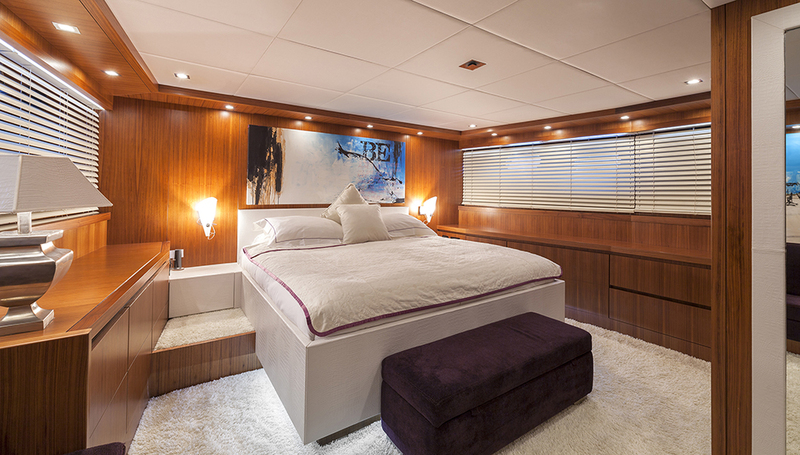 The yachts light and airy interiors are contemporary and welcoming, featuring neutral toned soft furnishings and warm woods throughout. 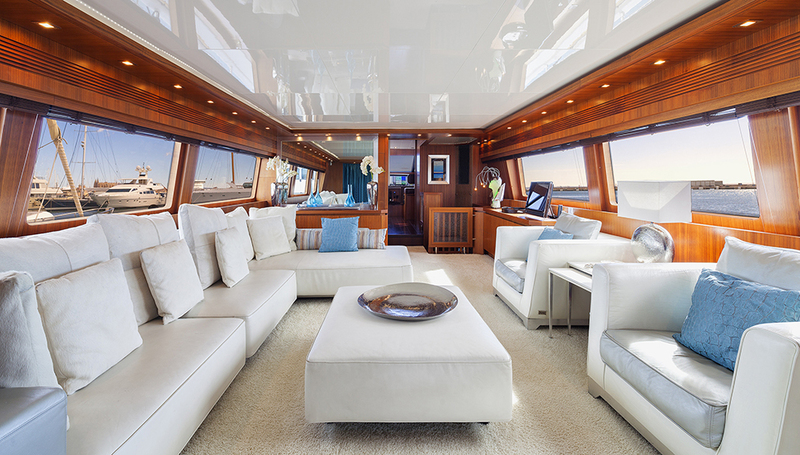 The main salon offers a generous lounge aft and formal dining forward. 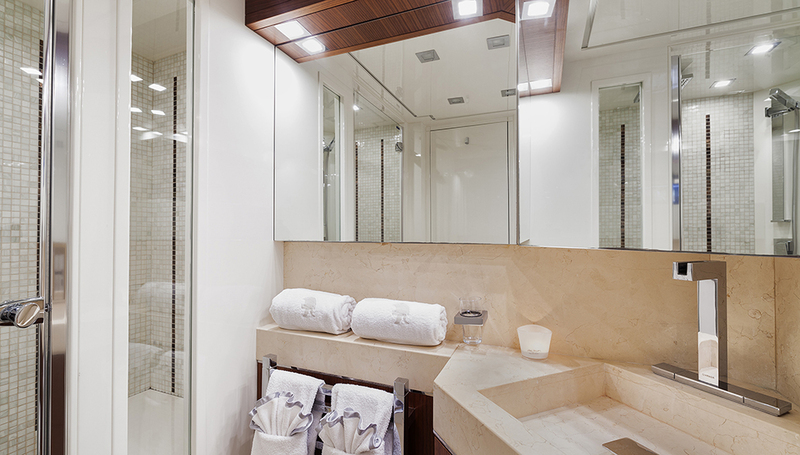 Surrounding windows provide natural light and spectacular views. 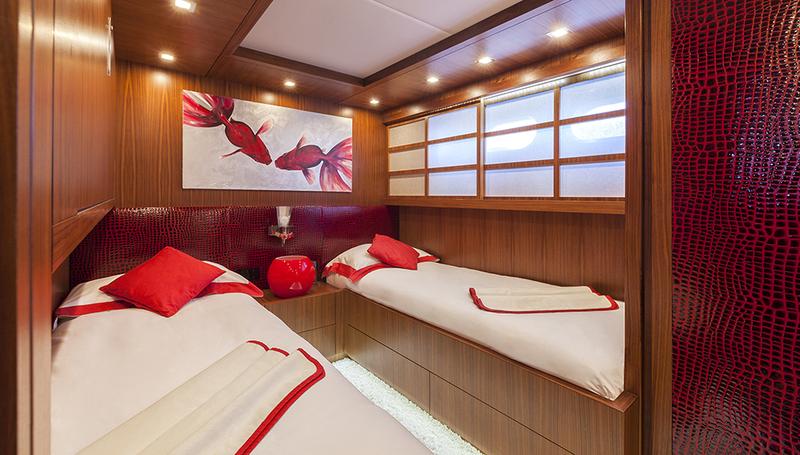 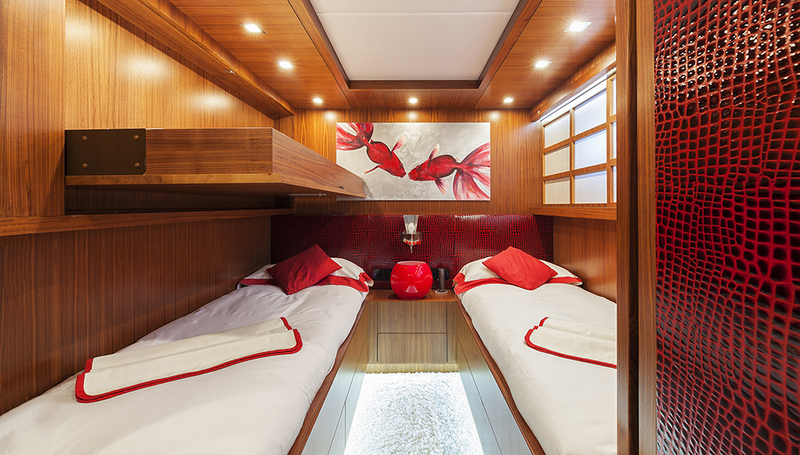 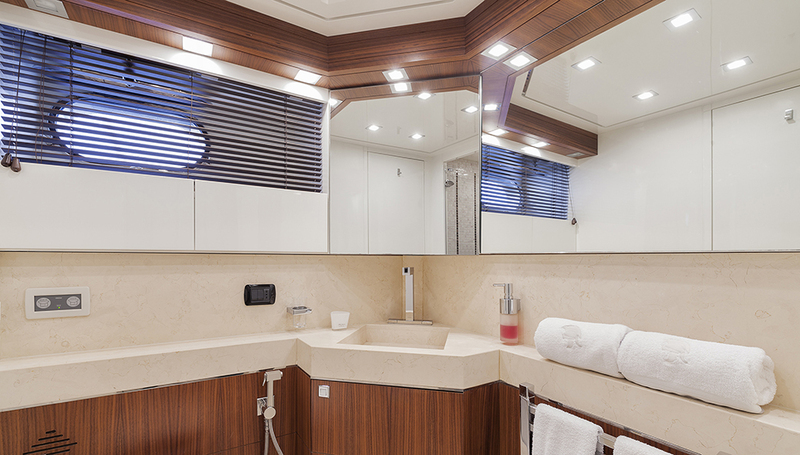 Below decks are 4 guest cabins, comprising a master, VIP and 2 twin cabins, all tastefully finished. 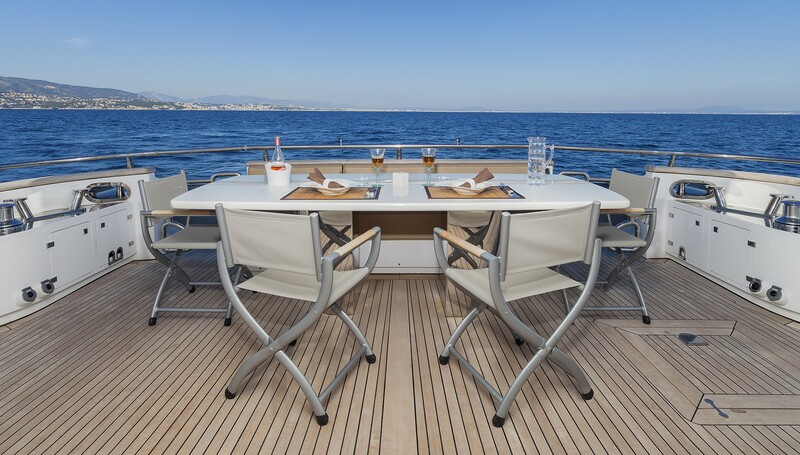 Enjoying the outdoors is made effortless with great exterior living, laid over 2 decks. 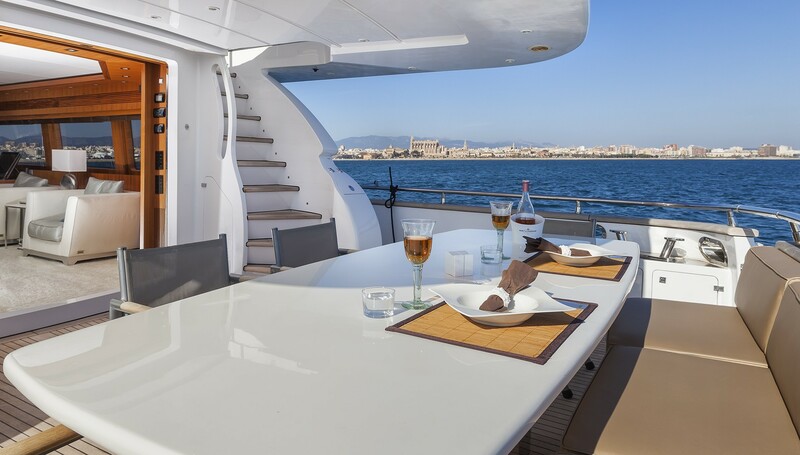 Adjacent to the salon, sliding glass doors lead to the partially shaded aft deck, with alfresco dining and seating. 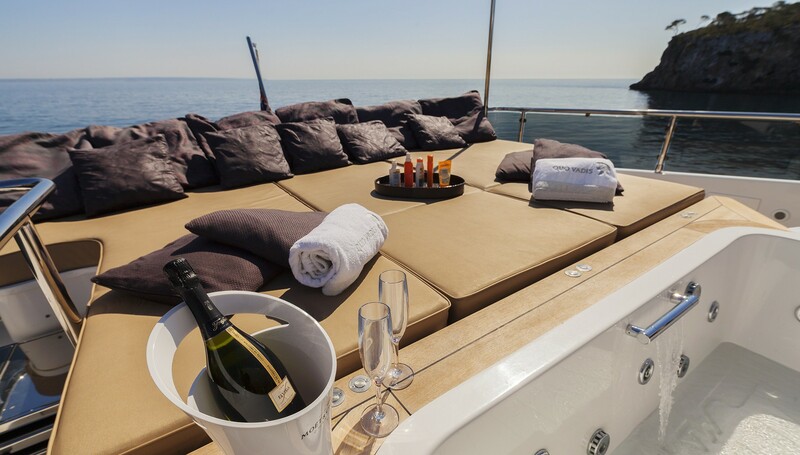 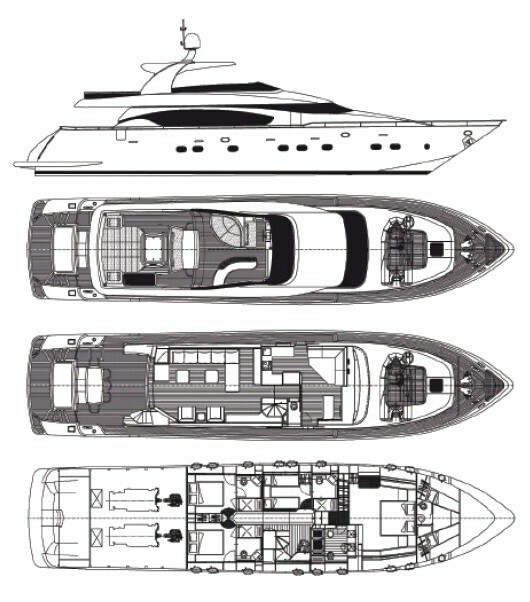 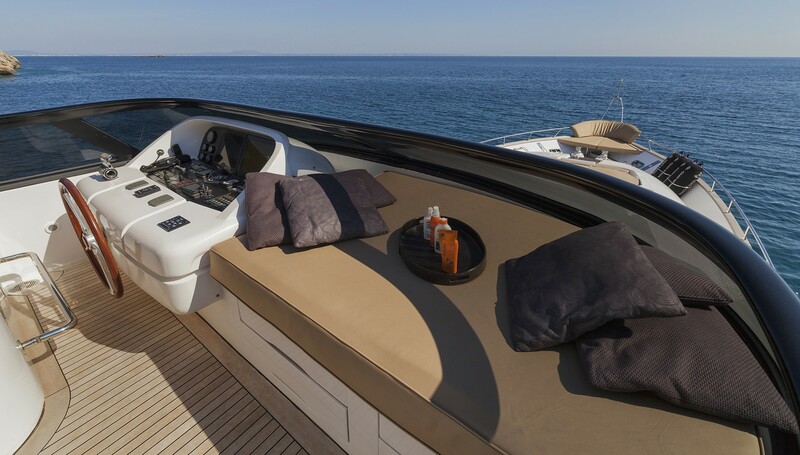 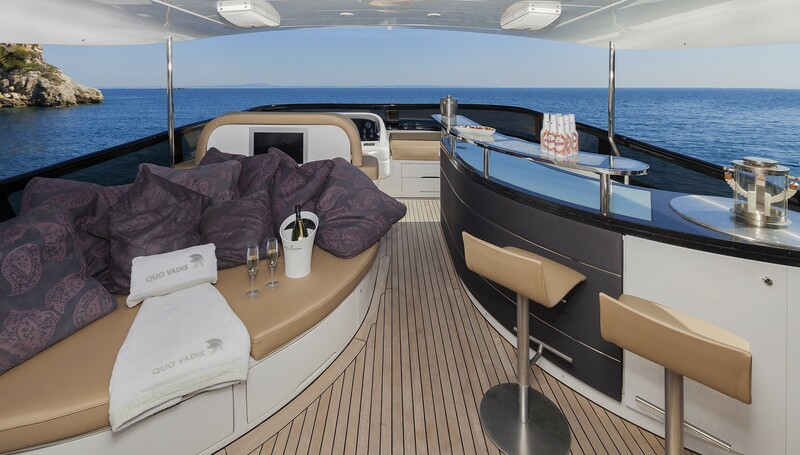 There is a foredeck offering a large raised sunpad. 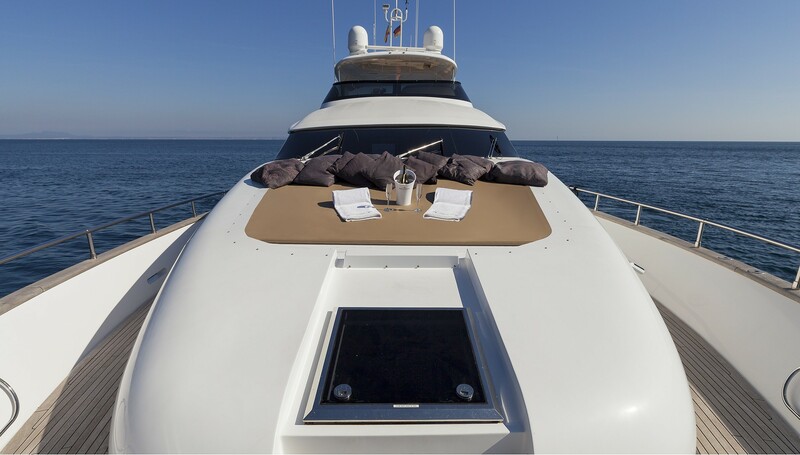 Guest will find the sundeck ideal for socializing, boasting additional sunpads, seating, wet bar, Jacuzzi and alfresco dining. 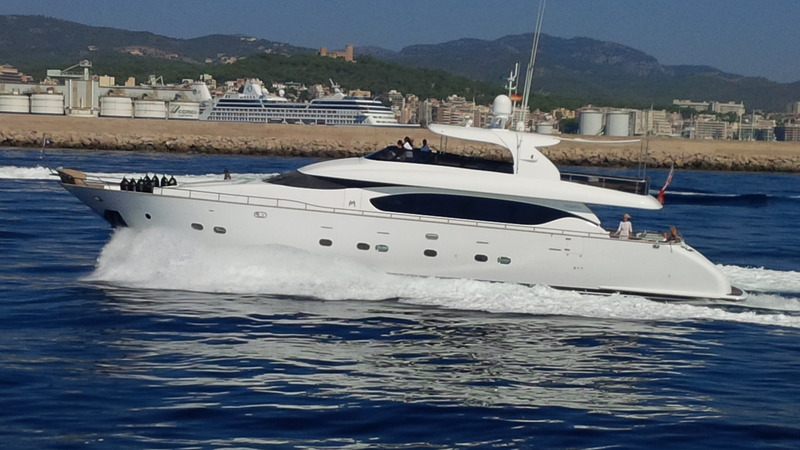 Powered by twin MTU 1800hp engines, the Maiora yacht QUO VADIS cruises at 22 knots and top speeds of 27 knots. 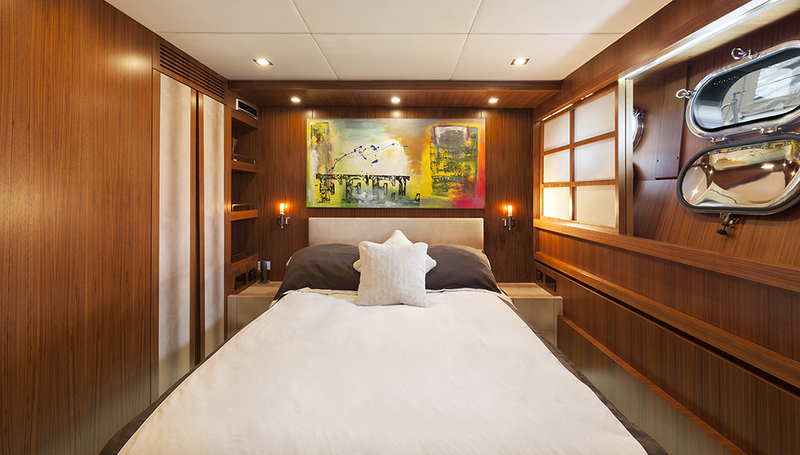 Timeless accommodation is offered for up to 8 charter guests, in 4 cabins, comprising a full beam master stateroom, VIP cabin and 2 twin cabins.